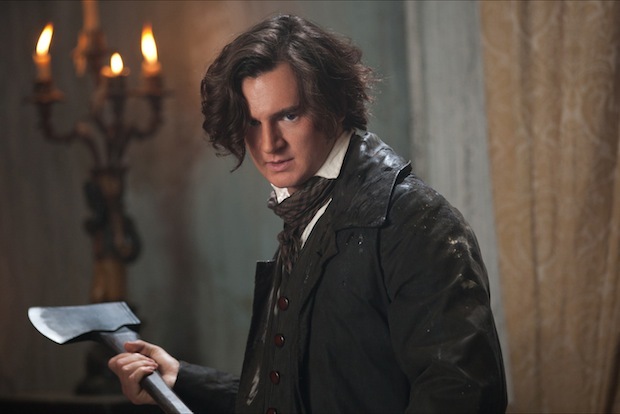 PERFECT CASTING: Benjamin Walker is a better young Abe Lincoln than Henry Fonda. As a former writer for Weekly World News, I appreciate the craft that goes into taking a ludicrous premise and making it come true. I was once assigned an article headlined “Karl Marx was one of the Marx Brothers.” A challenging task, since the father of communism died before any of the comedians were born. 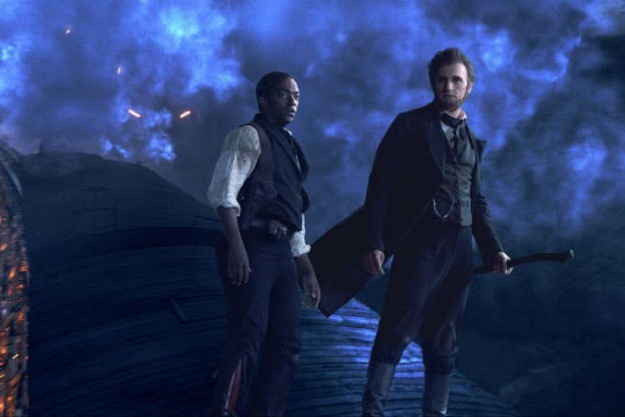 Abraham Lincoln, Vampire Hunter makes the absurd believable with the greatest success of any horror movie since Darkness Falls rebooted the Tooth Fairy as a monster. The filmmakers pull off this tour de force thanks largely to brilliant casting. Benjamin Walker is a terrific Honest Abe and his earnest performance helps us forget that history is being turned on its head. Strapping and handsome, with just the right mix of naivety and gravitas, he’s as perfect for the role as Christopher Reeve was as Superman. Second only to Jesus, Lincoln is the most difficult acting role. Even a great actor like Sam Waterson tends to appear corny when he dons that iconic stovepipe hat and starts spouting folksy aphorisms. Just ask the poor dude who played Lincoln in that Star Trek episode where aliens force history’s heroes and villains to duke it out (arguably the series’ worst). Walker is actually a more convincing young Abe Lincoln than Henry Fonda and in makeup as old Abe looks strikingly like photos of the martyred president. Also well cast are Rufus Sewell as Adam, the icy and domineering king of the vampires, and Erin Wasson as his henchwoman. The blonde with the bee-stung lips is one of the most gorgeous female bloodsuckers ever to grace the silver screen. 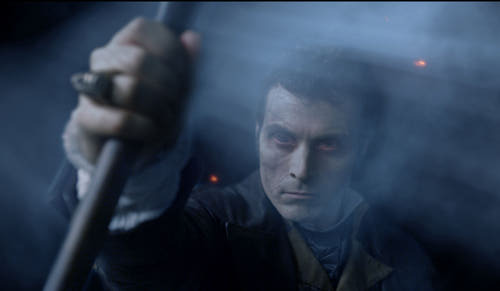 VAMPIRE LORD (Rufus Sewell) is a formidable foe. Another reason the film works is that regardless of the goofy concept, there is a truth at its core. When I read the book by Seth Grahame-Smith, I took it as more than just an clever interweaving of biographical information and fantasy. It’s an allegory. Slave masters were in a very real sense vampires: pseudo-aristocratic parasites living off humans they saw as cattle. The movie manages to overcome a hurdle as high as the laughable premise: That we know the hero can’t die (at least not until he relaxes with an outing to the theater). I call this the James Bond Time Bomb Dilemma. When 007 is diffusing a nuclear weapon that’s ticking down from 90 seconds, we’re supposed to be on the edge of our seats. But in reality it’s bogus suspense since we all know he’s going to survive. Who really sweats? Director Timur Bekmambetov slams the audience with vampire-battling scenes so dynamic that viewers forget Lincoln must prevail. One of the most memorable fights takes place in the midst of a stampede. Grahame-Smith, who also wrote the screenplay, lends a hand by throwing out most of the confrontations in the book and replacing them with more ingenious ones. So even if you’ve read the novel, you’re constantly startled. Thankfully, the writer also alters the ending, which I found the most unsatisfying of any novel I’ve ever read. RUNAWAY TRAIN: ABE and his boyhood pal Will (Anthony Mackie) see trouble down the line. Of course, not every critic found this theater-going experience as delightful as I did. One reviewer admonished the movie-makers for indulging in “revisionist history.” And, sadly, he wasn’t deliberately trying to be funny. That’s like calling The Lion King an inaccurate nature documentary! Some just couldn’t get past the silliness of the whole idea of juxtaposing a famous historical figure with popular movie monsters. Hey, to me that’s where the fun comes in. Others found the “reimagining” of the Civil War as a battle against pure evil too heavy-handed. Hello? The Civil War was a battle against pure evil, as surely as World War II. What the heck do you think Hitler was trying to create? A society made up of a Master Race and slaves. The antebellum south was the Nazi state fully realized, and thank God Abraham Lincoln took an ax to it. If you have any doubt about this, re-read the Gettysburg Address. You’ll see that the “stakes” were as high in the real Civil War as the one depicted in this vampire flick. 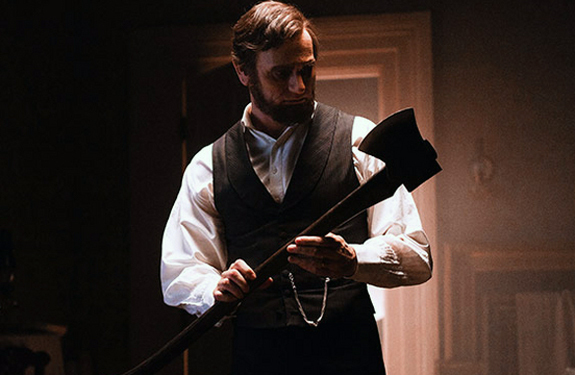 HONEST ABE took an ax to slavery. 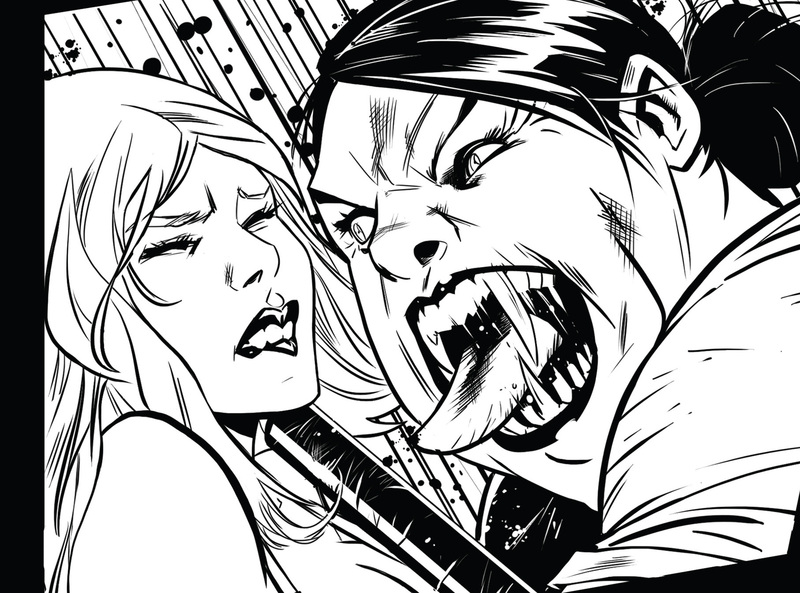 President Lincoln may have wiped out America's vampires, but werewolves still roam free. 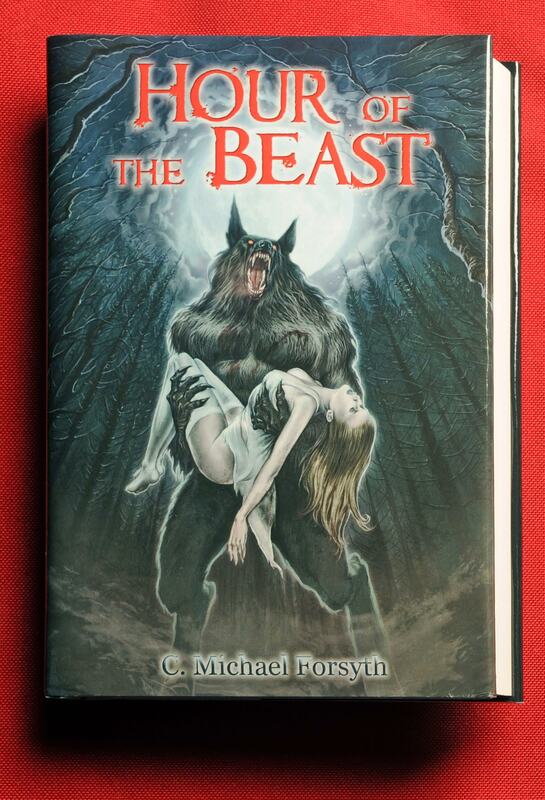 The author of this article wrote the horror novel Hour of the Beast, considered by many the best werewolf novel since The Howling.